A sunny to bright location is perfect. But the Money Tree also grows good in partial shade. 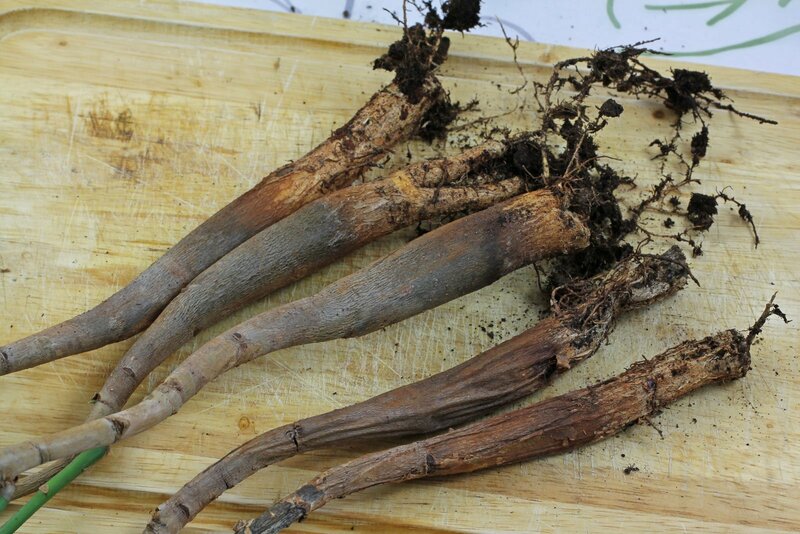 If they get used to it slowly large plants in in pots with a minimum diameter of 25 cm tolerate the hot summer sun. Miniature plants are not suitable for such locations, the soil in the small pots dries out quickly. Regular mixes for house plants, cacti, herbs or vegetables can be used. Either pure or mixed with pumice gravel or clay granules in a proportion of 1:1 or 1:2. 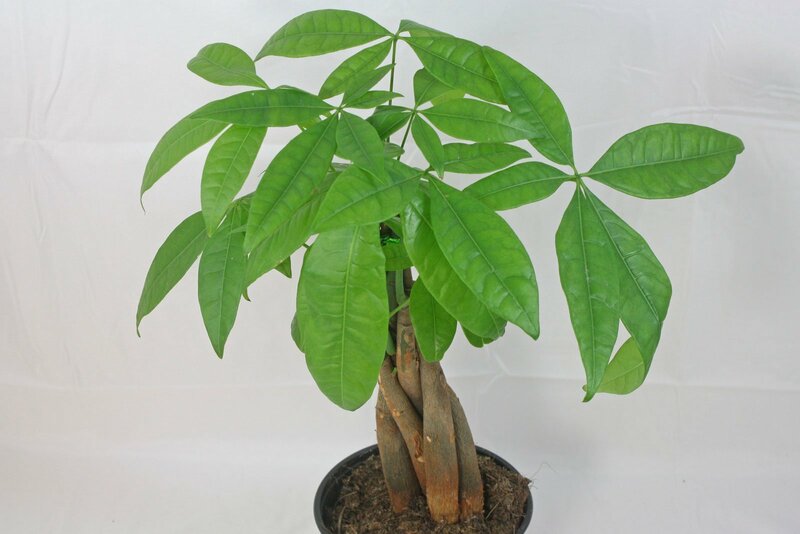 Pachira aquatica does not need any special substrates such as bonsai or palm soil. But they are also suitable. 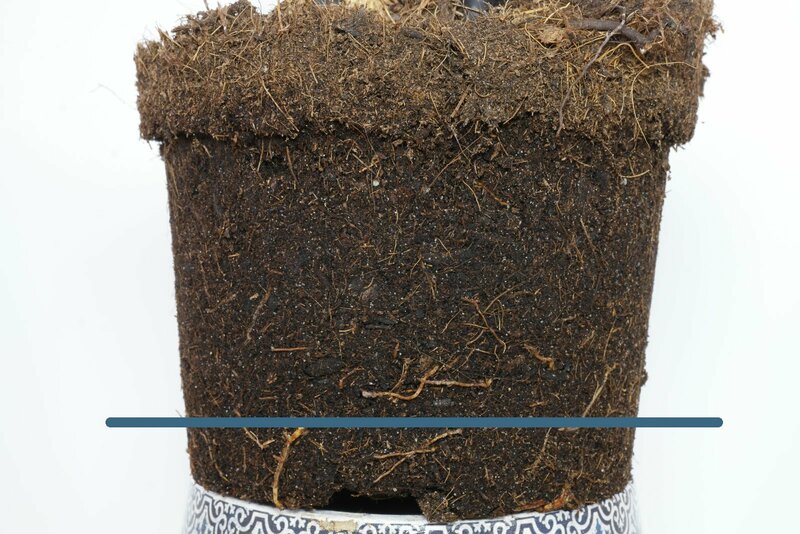 On the safe side is who allows the soil to nearly dry out between the waterings. 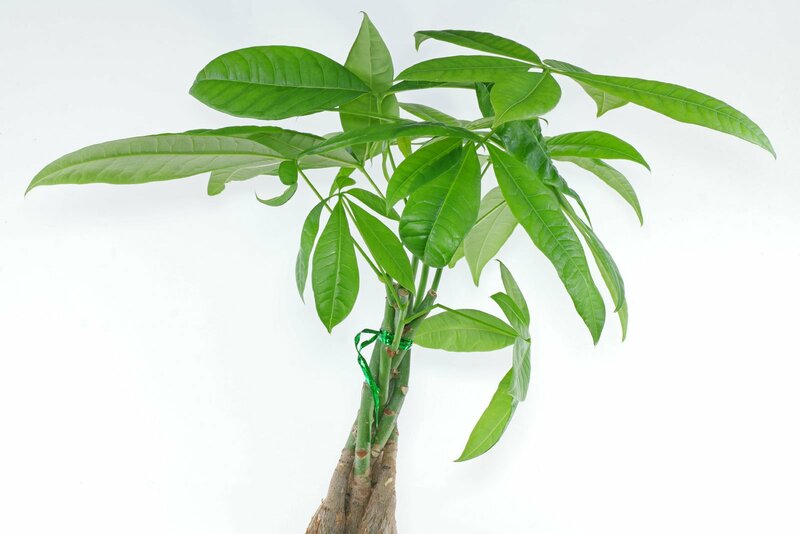 The Pachira doesn’t have a problem with water in the saucer or cachepot for 3 to 7 days. But only in summer, at temperatures above 20 °C (68 °F). Nevertheless it doesn’t like being swampy all the time. There should be at least 2 weeks between the wet days in which the substrate may dry well. Drying out for a short time will also be tolerated. 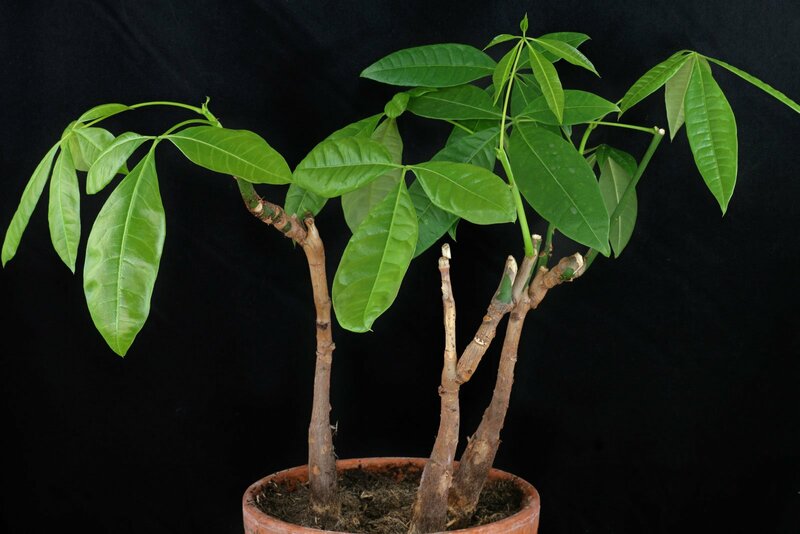 If the Money Tree is in active growth a standard liquid fertilizer can be given monthly or spikes or granules every 2nd to 3rd month. New bought or recently repotted plants don’t need to be fed for the first year. A year-round warm location is ideal. In winter the temperature should be at least 15 °C (59 °F). 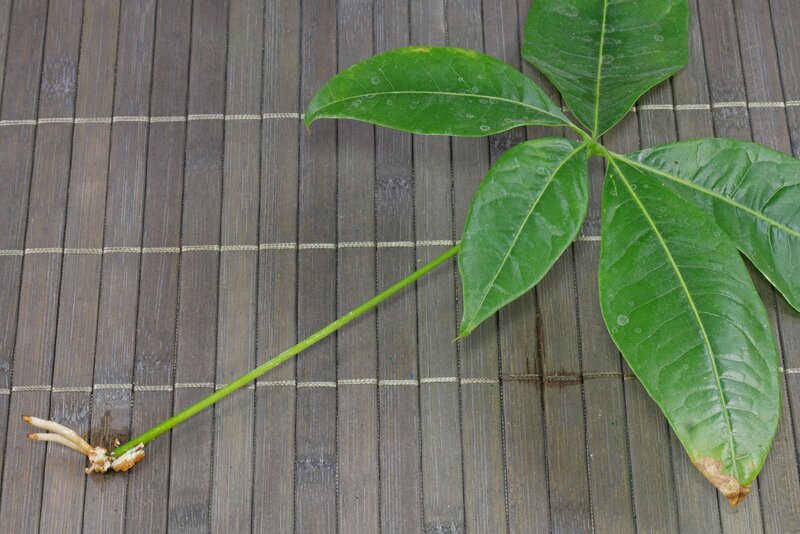 For a short time and if the soil is kept nearly dry the Pachira withstands 10 to 15 °C (50-68 °F). A humidity of 30 % is well tolerated. The pot should not be placed next to a heater. Spraying or showering off the leaves from time to time keeps them dust-free. 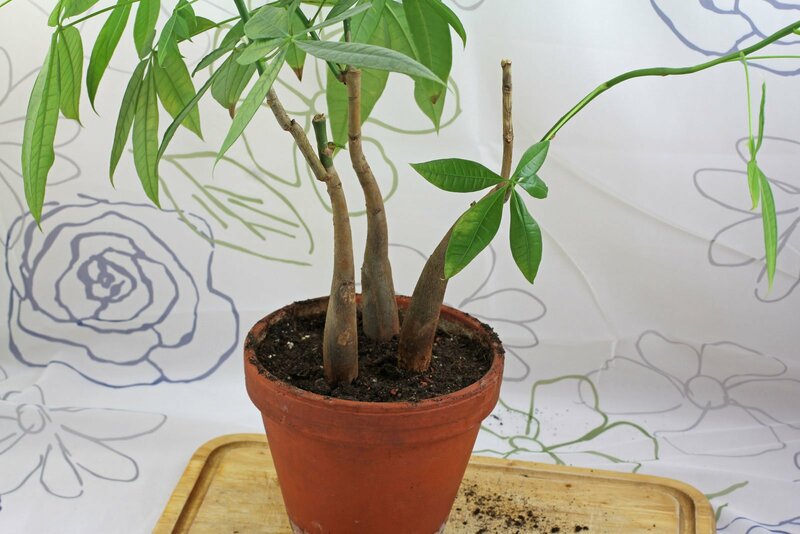 The Money Tree can be grown from seeds and cuttings. Unfortunately, the Pachira is also offered more or less closely braided. However, this form of culture does not last long as can be seen in the following pictures. … the rubber band that holds the trunks together. In December 2012 first stems had dried up. The trunks of the loosely braided Pachiras can be easily separated. This is best done immediately after the purchase. Several specimens can be planted in one pot. The Pachiras shown above in January 2018. This form of culture seems to work well for them. They are placed light shaded and grow 30 to 50 centimeters a year and are pruned back in autumn. 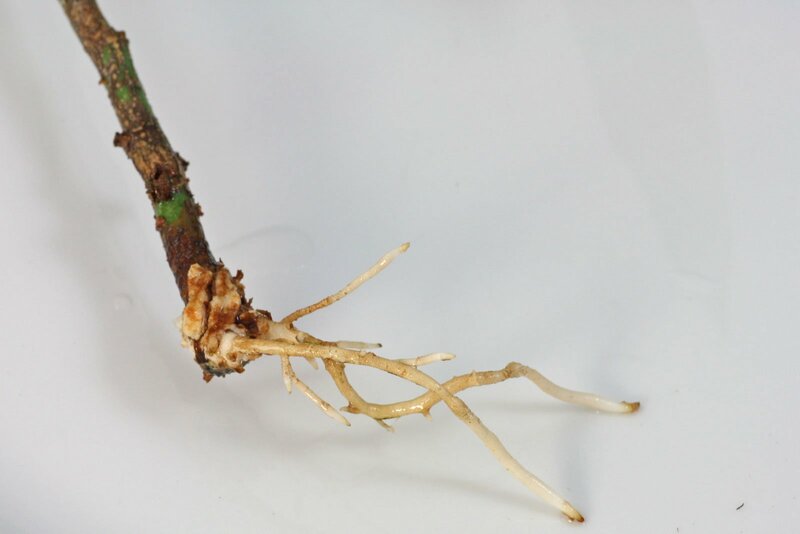 Propagation by cuttings is not difficult, but they can need several weeks to root. Green or woody shoots are suitable. They can be potted immediately after the cut. 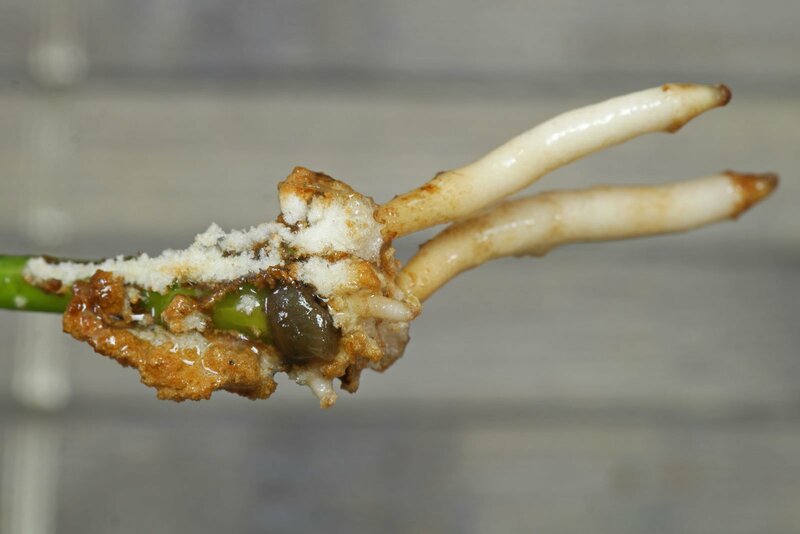 Roots can also appear on leaves. If new plants will grow from these cuttings is not yet clear to me. 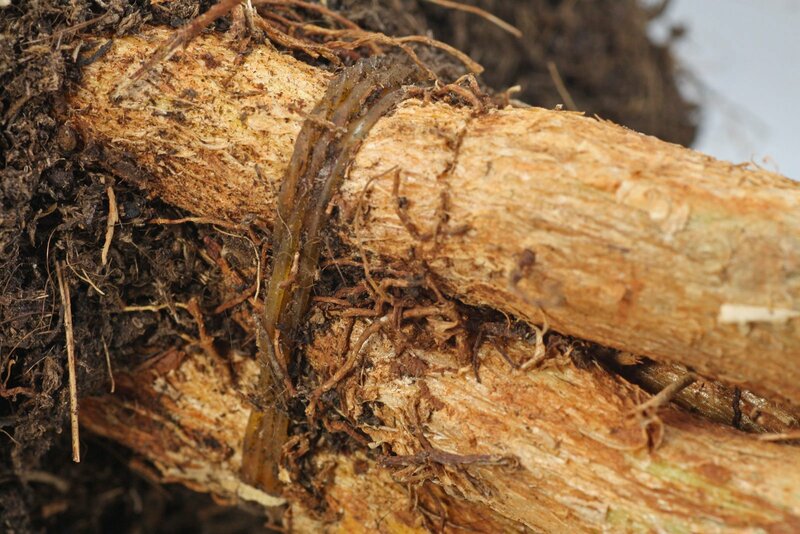 Incidentally, the whitish crystals are plant callus from which roots and hopefully shoots will develop. 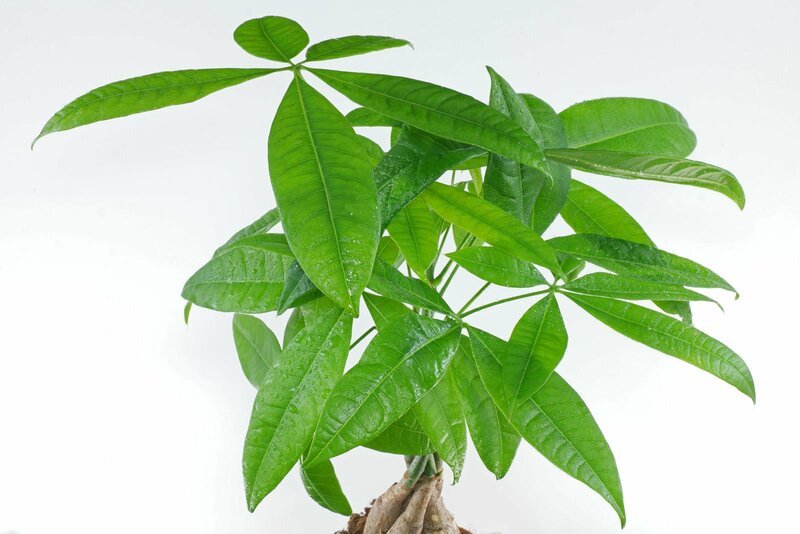 The Pachira loses its leaves. What are the reasons? If it only occasionally loses a few leaves in its lower part this this is usual. If many leaves are discarded, this can be caused by a lack of light, waterlogging, cold and a combination of these. 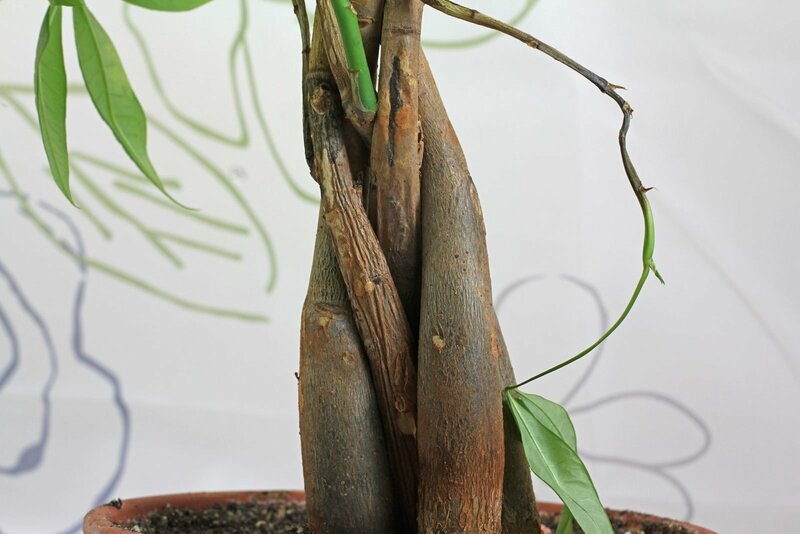 The trunk’s soft and mushy, can this plant be saved? Soft or mushy parts are dead. But green and solid parts can be used as cuttings as described above.